The biggest stories of the day. Samajwadi Party president and former Uttar Pradesh Chief Minister Akhilesh Yadav was detained at Lucknow airport on Tuesday and not allowed to board a plane to Prayagraj. Yadav was on his way to attend the oath-taking ceremony of a student leader at Allahabad University. The Supreme Court on Tuesday held former interim CBI chief M Nageswara Rao guilty of contempt for transferring an agency official who was looking into the Muzaffarpur shelter home rapes. The court also fined him Rs 1 lakh. Earlier in the day, a major fire broke out at a hotel in New Delhi’s Karol Bagh area, killing at least 17 people. A short circuit is suspected to have caused the fire. The Citizenship (Amendment) Bill was not tabled in the Rajya Sabha on Tuesday as the Opposition disrupted proceedings. Section 144 of the Criminal Procedure Code was imposed in Imphal ahead of planned protests in the city. Businessman Robert Vadra on Tuesday accused the Centre of being vindictive and harassing his mother. Robert Vadra and his mother Maureen Vadra appeared before the Enforcement Directorate in Rajasthan’s capital Jaipur earlier in the day in connection with an alleged land scam in Bikaner. A court in Delhi on Tuesday initiated in-camera proceedings in a case involving Dubai-based businessman Rajeev Saxena, who is an accused in the AgustaWestland helicopter scam, PTI reported. The press and the public are not allowed to be part of in-camera proceedings, which are generally held in a judge’s chambers. Union Finance Minister Arun Jaitley on Tuesday took a dig at the Congress hours after the Opposition party’s leader Rahul Gandhi accused Prime Minister Narendra Modi of treason. Gandhi had accused Modi of acting as a middleman for industrialist Anil Ambani. 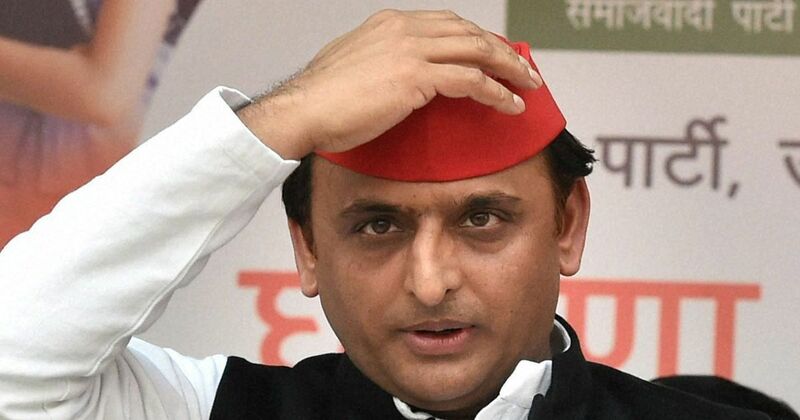 Samajwadi Party president and former Uttar Pradesh Chief Minister Akhilesh Yadav claimed that he was detained at Lucknow airport on Tuesday and not allowed to board a plane to Prayagraj. Yadav was on his way to attend the oath-taking ceremony of a student leader at Allahabad University. The Supreme Court on Tuesday referred to a seven-judge bench the Centre’s petition seeking to withdraw Aligarh Muslim University’s minority status. Thousands of people in Kargil spent Monday night on the roads braving the -17 degree Celsius temperature to protest against the administration’s decision to create a separate division for Ladakh region with its headquarters in Leh. Prime Minister Narendra Modi on Tuesday claimed that corrupt people are in “trouble because of Modi”. He was speaking at a rally in Haryana’s Kurukshetra. Security in Delhi and the National Capital Region was put on high alert on Tuesday after a car drove into a barricade at the Parliament complex. The car belonged to Congress Lok Sabha MP from Manipur Thokchom Meinya. Bharatiya Janata Party leader Mukul Roy on Tuesday applied for anticipatory bail in a case filed after the murder of Trinamool Congress MLA Satyajit Biswas. Roy filed his bail plea in a Calcutta High Court division bench a day after he was booked along with three others. Internet services in Rajasthan’s Sawai Madhopur district were suspended till February 13 as the protest by members of the Gujjar community entered its fifth day on Tuesday. The Supreme Court on Tuesday adjourned to Wednesday the hearing in a contempt petition filed by telecommunications company Ericsson India against Reliance Communications Chairperson Anil Ambani in connection with non-payment of dues worth Rs 550 crore. The court directed Ambani, who was present in court, to appear again on Wednesday. Bharatiya Janata Party President Amit Shah on Tuesday mocked the Opposition for their lack of clarity about a prime ministerial candidate, even as his own party was confident of Narendra Modi’s name. Shah dared the Opposition parties, who are in talks to form an alliance ahead of the elections, to reveal the name of their leader. Congress President Rahul Gandhi on Tuesday accused Prime Minister Narendra Modi of treason and claimed he had acted as a middleman for industrialist Anil Ambani in the Rafale jet deal that India signed with France. More girls were adopted in the last three years than boys, data released by the government shows. Of all children placed in adoption from 2015 to 2018, as many as 6,962 were girls and 4,687 boys, the Ministry of Women and Child Development told the Lok Sabha on February 8. A video of a Tripura minister allegedly touching a woman colleague inappropriately on stage in the presence of Prime Minister Narendra Modi has gone viral on social media. The Left Front demanded on Monday that Manoj Kanti Deb be sacked “for touching a woman in an indecent manner” during a rally in Agartala on Saturday. An Army soldier and a suspected militant were killed in an exchange of gunfire in Jammu and Kashmir’s Pulwama district on Tuesday. One soldier suffered injuries. Businessman Robert Vadra and his mother Maureen on Tuesday appeared before the Enforcement Directorate at its zonal office in Jaipur in connection with an alleged land scam in Bikaner. Congress general secretary and Vadra’s wife, Priyanka Gandhi, accompanied them to the office. The Rajya Sabha was adjourned till 2 pm on Tuesday, with Union Home Minister Rajnath Singh likely to table the contentious Citizenship Amendment Bill later in the day amid ongoing protests in northeastern states. There has been opposition from several political parties in the North East, including allies of the Bharatiya Janata Party. The Supreme Court on Tuesday held M Nageswara Rao, former interim director of the Central Bureau of Investigation, guilty of contempt. The court on February 7 had issued him a contempt notice in connection with the transfer of the CBI officer investigating the Muzaffarpur shelter home abuse case. The Isak-Muivah faction of the National Socialist Council of Nagaland, or NSCN(IM), on Monday elected Qhehezu Tuccu as the chairperson of the outfit. It also chose Tongmeth Wangnao as the vice chairperson. Union minister for Labour and Employment Santosh Kumar Gangwar on Monday told the Lok Sabha that the periodic labour force survey report prepared by the National Sample Survey Office has been approved by the National Statistical Commission. The report has not yet been made public, and this has led to resignations from two independent members of the commission in January. The Punjab Police on Monday conducted raids at several locations in Ludhiana after a 21-year-old woman claimed she was raped by 12 men at a farmhouse near Jagraon town. No arrests have been made so far. Assamese singer Bhupen Hazarika’s family appeared to be divided on the matter of accepting the Bharat Ratna conferred posthumously on him. His son Tej Hazarika on Monday rejected the honour in protest against the Citizenship (Amendment) Bill, but the singer’s brother, Samar, said Tej had taken the decision without consulting him. The event was cancelled after the Brahmchari Wadi trust, which governs the college, refused to provide a hall for it, allegedly after pressure from some Bharatiya Janata Party student leaders. The trustees of the institution include architect Balkrishna Doshi, author Kumarpal Desai – both Padma Shri recipients – and Jnanpith recipient novelist Raghuveer Chaudhary. 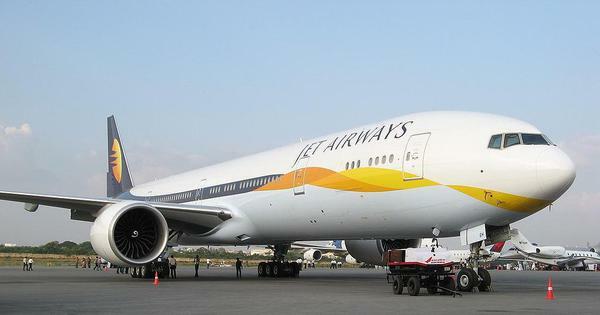 Gandhi then left Jaipur International Airport under tight security, airport authorities said. Earlier on Monday, the Congress general secretary, who is the sister of party president Rahul Gandhi, held a roadshow in Lucknow, marking her political debut months before the Lok Sabha elections. Delhi Fire Service officials told the Hindustan Times that they received a call at 4.35 am about the fire. Choudhary said 26 fire tenders were sent to the spot. He added that as many as 35 people have been rescued, while two jumped out of the building in panic. On Sunday, at least six women were injured when police fired tear gas shells at a group of people who had gathered to protest against the bill in Imphal. The women vendors at Ima Keithel or Mother’s Market have announced a total shutdown of the market till Tuesday.